January 22, 2017 will not be remembered as a good day in Major League Baseball, but rather a day marred by grim coincidence. In two separate car accidents in the Dominican Republic on Sunday, Kansas City Royals RHP Yordano Ventura and former star Minor League 3B Andy Marte were killed. Ventura was 25, Marte was 33. The sting of this tragedy is a familiar one for the MLB, which dealt with the heartbreaking loss of Jose Fernandez in a boating accident just four months ago in September. Photo by the Kansas City Royals. Ventura was traveling on the Juan Adrián highway in San Jose de Ocoa, Dominican Republic when he was killed in his car accident. Details beyond this have not been released. However, the Dominican police have confirmed that Ventura was the only person in his car. Marte’s accident occurred in between San Francisco de Macoris and Pimentel, Dominican Republic, roughly 79 miles from where Ventura was. Dominican police stated that Marte was killed when his car crashed into a house along the side of the highway he was driving on, the reason for this has not been confirmed yet. Ventura was in the prime of his career and was an integral piece of the Kansas City Royals team that won the American League Pennant in 2014 and the World Series a year later. Possessing a fastball that clocked on average at 96 MPH, the flamethrower amassed a 38-31 record with 3.89 ERA and 470 Ks in his four season career, all with KC. Ventura was not afraid to be bold and Royals fans loved him for it. He had several heated exchanges resulting from throwing at players. The Royals would not have reached the either of their back-to-back World Series without him. Photo by the Atlanta Braves. Unlike Ventura, Andy Marte’s death did not cut his MLB career short, but that doesn’t make it any less saddening. Marte last played in the Majors in 2014, he was in the DR playing winter ball. Marte had a highly successful Minor League career and was the MLB’s no. 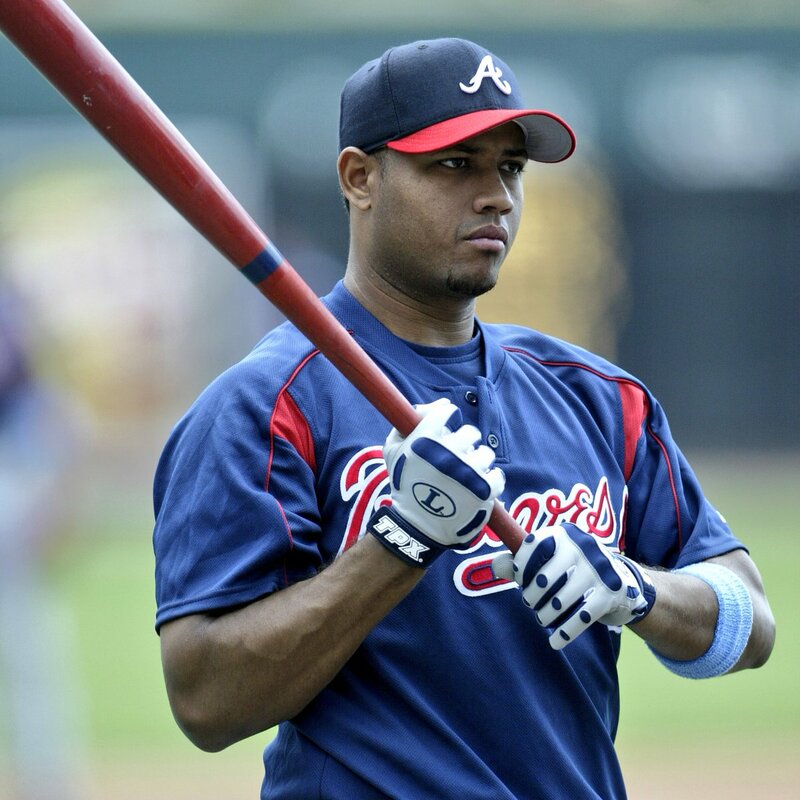 9 prospect entering 2005 with the Braves. Though Atlanta thought he would become Chipper Jones 2.0, Marte never found the same swagger in the MLB and he had the career of a journeyman. He finished his seven season MLB career with a .218 AVG along with 21 HR and 99 RBI. The Cleveland Indians stated on Twitter that Marte was very amicable and always greeted you with a smile. Here’s something that will make the hair on the back of your neck stand up; Marte’s last MLB appearance was on August 6, 2014 for the Arizona Diamondbacks. The last starting pitcher he faced in his MLB career? Yordano Ventura. An outflow of mourning for both Ventura and Marte has come from all over the Baseball world today. Multiple Royals expressed their devastation over the loss of their teammate Ventura on social media. Danny Duffy and Christian Colon even greeted mourning fans outside of Kaufmann Stadium. Many of the teams for whom Marte played paid tribute to their former player as well. 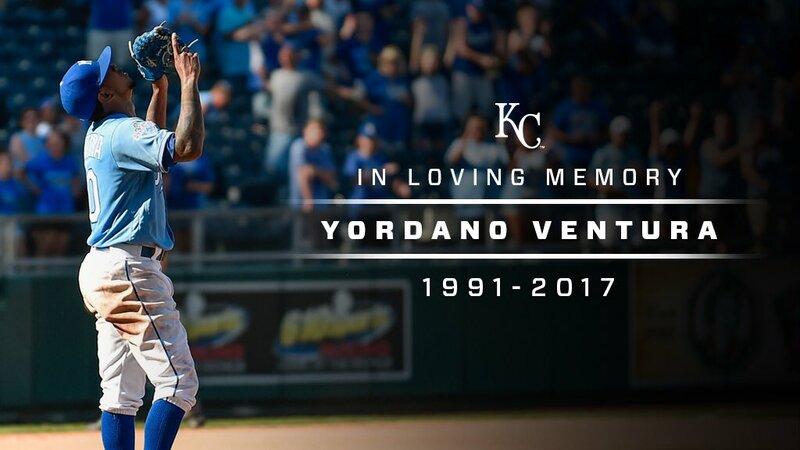 “Today is a very sad day for our entire game and particularly for the many loyal fans in the Dominican Republic, the home of both Yordano Ventura and Andy Marte. Although they were unrelated incidents, both accidents are nothing short of tragic and took two young lives away from the world. My MLB partner on Sports Rants, Mike Addvensky (@MikeAddvensky), and I send our condolences to the families of both Ventura and Marte.